Feeling the love this holiday season? So is Roaming Gnome. 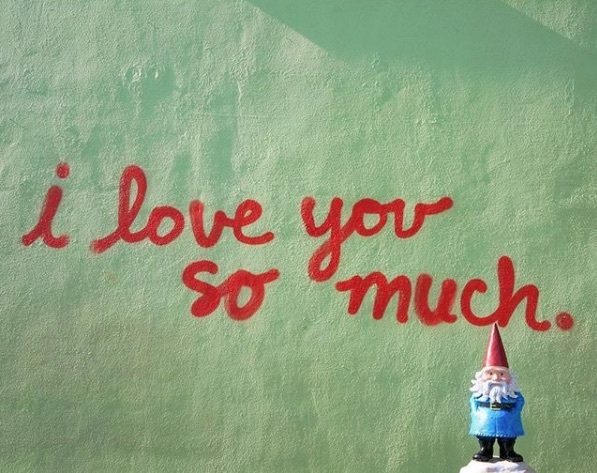 Though you may not know him by name, you definitely know this red-hat wearing, travel-loving Travelocity gnome. On the hunt for some gnome love of his own, Roaming Gnome has jumped on the Tinder craze. However, he’s not there just to swipe right and score some dates. The Roaming Gnome is on Tinder to spread the love, and give one lucky winner the chance to take a special someone on the trip of a lifetime. Though you may not be attracted to his bio that paints a picture of this loving gnome as “two feet tall,” “slightly rotund,” and someone who “has a penchant for red, conical hats,” there is a lot more to love about this gnome than meets the eye. So when this little guy in a red hat pops up on your Tinder feed, don’t judge on appearances and swipe left — give this magic gnome a chance to prove himself to you. By swiping right at the site of this small smiling gnome, you’ll get a message that instructs you how to enter the Be My Gnomie contest. It’s certainly no secret that Roaming Gnome is a travel aficionado — he does have the word “roaming” in his name. Over the past ten years of his travel life, this Roaming Gnome has learned the value of travel, and what you stand to gain by embarking on adventures around the globe. So what better person to show your passion for travel to than the travel king himself? Once you’ve received the message in your inbox with how to enter the Be My Gnomie contest, you’ll be asked to demonstrate why you would make for Roaming Gnome’s ideal travel buddy. Woo Roaming Gnome with your answer, and you’ll win the trip of a lifetime for you, and a travel partner of your choice. 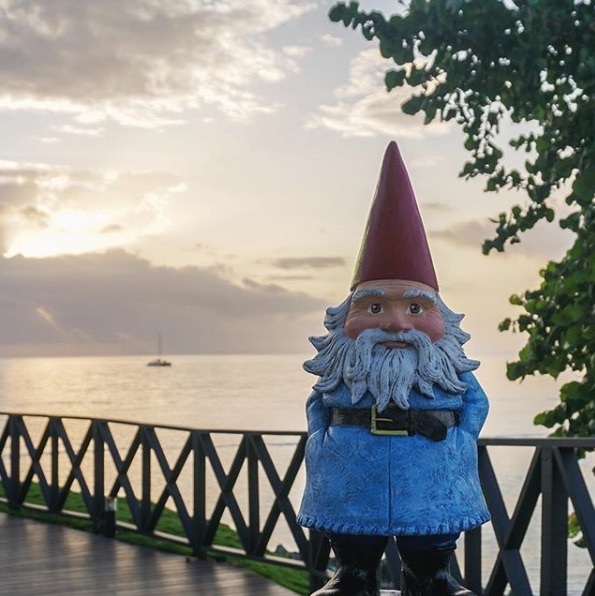 As a Be My Gnomie winner, you’ll experience travel at three of the industry’s hottest new luxury resorts: SLS Baha Mar in Nassau, Bahamas, Breathless Montego Bay in Jamaica, and Excellence Punta Cana in Dominican Republic. Even if you’re not on Tinder, Roaming Gnome still feels you deserve a shot at this fabulous traveling experience. 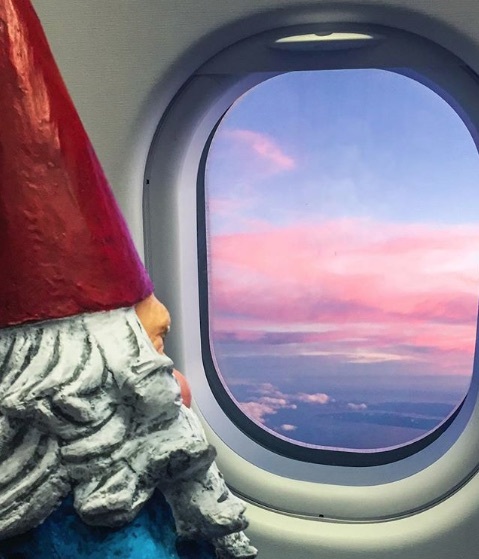 All you have to do is follow @RoamingGnome and @Travelocity on Instagram, and submit a photo or video that shows/tells why you are Roaming Gnome’s dream travel partner. Don’t forget to hashtag your entry using #BeMyGnomieContest. The winner of Be My Gnomie will get far more than a chicken dinner. For more information on this contest, read the details here.